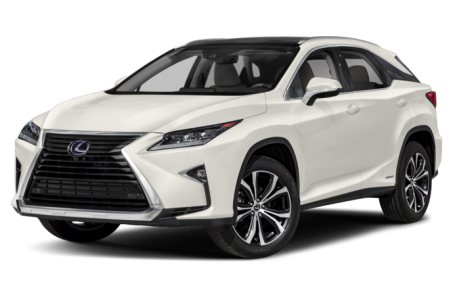 The 2019 Lexus RX 450h is the hybrid version of the regular mid-size RX Series. It is powered by a 308-hp, 3.5-liter V-6 engine mated to an electronically-controlled continuously variable transmission and all-wheel drive. Two trims are available: Base and F Sport.